Travel Blog’s can be the best way to tell the others about your exquisite wanderlust stories. So If you are planning to start a travel blog, here is a step by step guide on how to go about it. 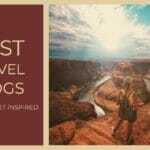 When it comes to the travel blog’s, it can be the best way to tell the others about your exquisite wanderlust stories. Tell the people about those gaudy mountains, showcase your pictures encapsulating the sunset. This might encourage the people to visit & experience the unknown. Creating a travel blog can be the best idea when it comes to reaching out to masses. It can be the case that you’ve thought about writing your stories but you might be wondering where to start. In this article, we will walk you through how to create a travel blog. This guide is directed for total beginner’s so if you have some experience with blogging, you can skip portions of this guide. The first thing which you need to do is finalizing your domain name. Make sure your domain name reflects what you are planning to put on that blog. There are two types of domain names – Branded or Keyword Optimized. Branded Domain – These domain names are usually small, preferably one or two words. Most of the time they don’t mean anything other than they are unique and easy to pronounce. There are certain benefits which come with Branded Domains like easy accessibility of domain names and social media accounts. Keyword Optimized – These domain names reflect the business you are in and usually directly include your primary keyword. Many people believe that these are good for SEO purpose and provide an additional advantage in rankings. The idea should be to find a brandable domain which relates to your keywords. Do not stress too much on the exact keyword match domain (EMD’s) name as sometimes it can be deemed negative also. – Always try to make them Brandable and easy to pronounce. – Avoid using hyphens or special characters in the domain name. It will make them hard to pronounce, so if your domain name is taken, try to add prefix or suffix to create an available name. – Avoid using City or geolocation name in the domain unless you are sure that you will never expand outside of that geolocation. Like for your travel blog avoid calling it USTravelDiary.com, TravelDiary.com would be a better name as if you happen to travel outside of US, you can still use the same domain. – Always try to look for .com TLD, if it’s not available then look for .net, .org etc. – Always check the availability of social media accounts before buying the domain. You can use tools like NameCheckr to check the availability across all platforms. Here are some of the good places to go and buy your domain names. There are two things which you should look for while finalizing the domain provider – Price range and DNS resolution time. DNS resolution time is always added to the site loading speed, so it only makes sense to use fast servers for your DNS resolution. Namecheap is one of the best domain providers which is the there in the business for almost close to two decades. The major benefit with them is their renewal rates and support. 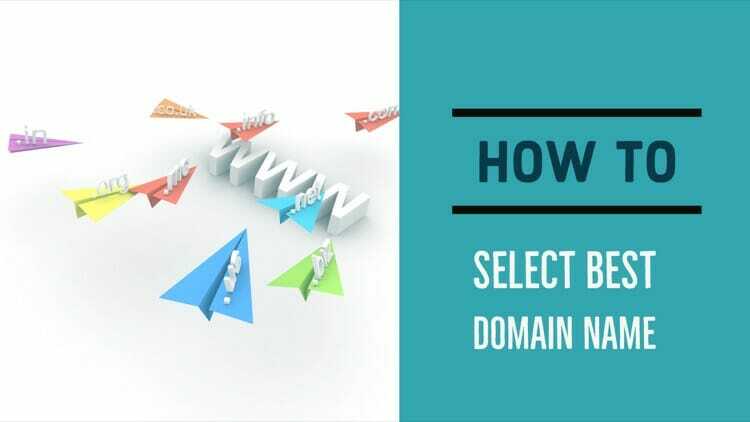 Most of the other domain provider will sell you a domain name on lesser price but they will not give any discount on renewals and do the renewals on higher rates. Namecheap will save you money in the long run and also provide peace of mind with their reliable service. They also offer SSL certificate at the lowest rate in the market and includes first-year WHOIS privacy with every domain name purchase. Google has released their Google Domains service to everyone and you can now use it to buy your domains. You won’t get any discounts from them, not even for the first year but their service is good which will make it up for the cost. Most of the other companies charge separately for WHOIS privacy but its included in the price for Google Domains. Their overall cost is usually less from other domain providers so on a long run you will save some money with them. The only other place I look for is Amazon Web Services which also allows you to buy a domain name and offer their DNS services with Route 53 services. They also include WHOIS privacy with the purchase but charge per use basis for DNS resolution. So you might have to use DNS from your hosting provider. If you are looking to buy a domain name for long term like 3-5 years, Namecheap will be a good option as you will get a discount on your first purchase. 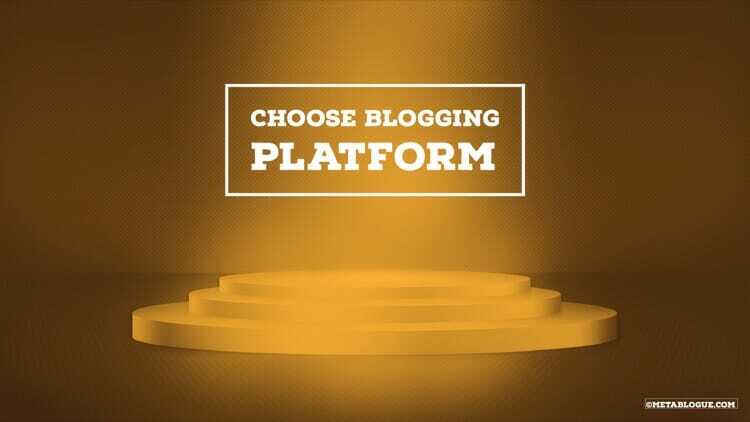 There are many online platforms which can be used to create a site but you need to choose something which will allow you to easily create the blog. It can be rightly said that the WordPress can be your best pick when it comes to starting a travel blog. You can instantly create a ravishing travel blog & start telling the world about your adventure. There are two versions of WordPress – Self-hosted or WordPress.com. WordPress.com provides a free platform to host a blog with a restricted environment. 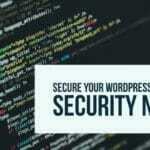 You can remove certain restriction with a premium plan but if you are serious about blogging, I would suggest using a self-hosted version from WordPress.org. The domain name was the first step to go to a self-hosted blog, you also need to get a hosting for it. In my last 10 years of blogging, I have used most of the hosting providers for one or the other blog. Most of them promise many things but might not be able to fulfill all of them. So you need to be careful while selecting the hosting provider. As hosting is a monthly or yearly expense, you need to decide on your budget. Its always better to finalize your budget from the start so that you can control your expenses better. Based on your budget, you can decide which hosting provider and what type of hosting you can buy. There are different kinds of hosting which is available like Shared Hosting, WordPress Managed Hosting, VPS Server etc. Hosting prices range from $5 to $500 per month based on the type of hosting and features. You will get a space on a shared server and will be hosting your blog with other sites. All the resources are shared and will be used to serve all sites on that server. This is one of the preferred hostings to start a blog as it is usually the cheapest option available. Because there are many site sharing the same resources, your neighbor can have an impact on your blog. If they eating too many resources or host some bad sites, it can impact to your blog. It is called Virtual Private Server means resource promised is private to your installation. This is also a shared resource but the division is much clear and you are not impacted by other people on the server. You will get 100% utilization of the resources allocated to your VPS. These hosting are usually expensive and can support large sites. So once your blog grows, you can plan to use VPS hosting. There are many hosting providers who have understood the popularity of WordPress Platform and started offering WordPress Managed Services. They offer to manage the basic installation of WordPress along with hosting services and their servers are optimized for WordPress installations. These come in both form – Shared or VPS but usually cost little more respectively. Most of the starter blog should be fine with the shared hosting plan as they don’t receive that much traffic at the start. Slowly when your blog grows, you can move them to VPS hosting. While buying a hosting keep in mind that many hosting providers add a discount on the first purchase but the discount will not be there for renewals. So make sure you understand the monthly or yearly cost associated with the renewals also which will be the correct cost for hosting. Once you know what type of hosting you want, you need to finalize the hosting provider. Here are some of the best hosting providers which I use to host my blogs. If you are looking for a shared hosting SiteGround is my preferred hosting provider. Their service and performance are very good. SiteGround hosting plans start from $10 a month but you can get a 60 – 70% on your first purchase so you can start your blog from $3 – 4 per month. Their plan includes SSD storage, free SSL certificate, and free CloudFlare CDN for faster performance. I have used them multiple time in past and always found their service very good. So if you want to start with a shared hosting, you can use them. This is another hosting which I prefer for my starter blogs. They provide VPS server for as low as $5 per month. Their network is built on Amazon’s vast and reliable network. They use to offer WordPress installation over their EC2 offering but without a fixed cost. Now with LightSail service, a new blogger can have a peace of mind with fixed cost and same reliable service. 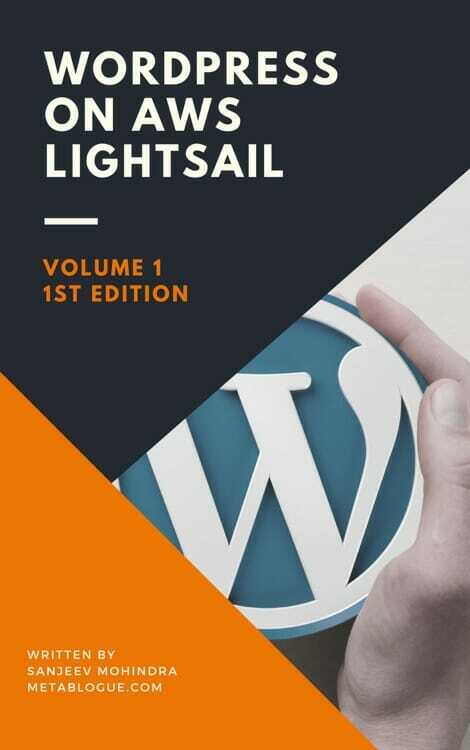 It is very easy to install WordPress on AWS LightSail and you will get all benefit as a VPS. The only issue with it is that you need some understanding of managing a server. Though it comes with an installation of Bitnami WordPress image which is already configured for servers, you will still need some understanding of managing a VPS. I would only suggest to use it if you are comfortable with command line prompt and Unix. Though it is one of the cheapest and reliable options available in the market. Another WordPress hosting service which I recommend is WP-Engine.They are little costly than other hosting providers but their service makes up for the cost. Their basic plan starts from $29 a month which includes free SSL certificate, Automated SSL renewal, SSD storage and up to 25k visits. They also provide one-click staging environment where you can test your changes before making them live on the blog. Their servers are PHP7 ready and provide real-time page analysis for improving the page loading speed. The major benefit with them is the reliability of the servers and their 24×7 support service. You can start with them if you have enough budget otherwise you can move to them once your blog starts to grow and starts earning money. Once you’re done with the blogging platform and hosting selection, then comes the time for selecting the theme. A theme is the soul of your blog, WordPress is known extensively for its variety of themes around the world. There is an array of both free as well as premium themes available with the WordPress CMS. Although it’s pretty easy to change themes in the WordPress, it’s highly recommended that you must stress upon the layouts, appearance, and viability before choosing any theme for your blog. You should always look for minimalist design which can provide a good attractive layout to your blog. I would always recommend investing in this section as your theme set your blog apart from rest of the world. Here are the themes which I prefer for Travel Blog. Here are the themes which I prefer to start a Travel Blog. Elegant themes come with a drag and drop visual website builder called Divi which can be a good choice for creating a travel blog. The only problem with that is that you need to have a design idea how you want your blog to look like. They offer stunning layout pack for Travel Blogs which can be used to create a layout out of the box. The other benefit with them is they offer some nice WordPress plugins in the package. Those plugins will take care of social media and opt-in form setup on your blog. Elegant themes are in the business as long as I can remember and provide an excellent support to their customers. They also have an active community which can be utilized in case you are stuck. This is another vendor whom you can trust blindly. I am using them for most of my blogs including MetaBlogue. Their approach to WordPress themes is little different as they provide a core framework which provides all core functionality and child themes which provides the layout for your blog. You need to get the Genesis Framework to use any of the child themes on the blog. You can use Milan Pro or Cafe Pro child themes to create your Travel Blog. Genesis Framework has been optimized for SEO and closely integrated with WordPress. So it provides a fast loading site. It also has a lot of flexibility which allows you to modify almost every part of it. They also have a vibrant community which can help in case you need some suggestions. When it comes to WordPress themes, there are so many choices available that you can spend days looking at it. We will discuss WordPress themes for travel blogs in our next blog posts, so keep looking for this space. In simpler words, Plugin is the tool that enables the user to perform vicious tasks easily. The main advantage to use WordPress for your travel blog needs is because WordPress supports tonnes of plugins. The basic plugins are available for free to the users, for the spam protection, the famous & critically acclaimed Akismet plugin is available at your disposal. When it comes to improving your blog’s Search engine optimization factor, the Yoast SEO can move mountains for you. The other benefit of including plugins in your blog is that you can link a map with your travel blog. The map support will tell your readers about the places you went in the most exuberant way. Showcase your travel itinerary, link your exotic videos & pictures to the desired locations with the mapping tool plugins such as Noman Map, Maps Marker Pro and much more. Again its a very wide topic and we will discuss it in great detail in our next blog posts. So keep watching the space. Brand elements are a very important aspect of any blog’s identity. When you start a travel blog, you need to make sure you have your brand elements in place. This will provide a unique identity to your blog. You need to make sure that you have your logo and site icon designed and uploaded on your WordPress blog. Below are some of the places where you can get it done at a reasonable cost. LogoNerds can provide logo designs services from a starting price of $27. They also provide Facebook or Twitter cover designs along with other design services. You can look at their logo portfolio and check the quality of their work. They also provide limited revisions in case you do not like the first draft. I have used them on my previous blogs and they have always done a good job in terms of creating a unique identity. If you are not willing to spend much than Fiverr can be one of the places. It provides logo design services starting from $5. You can buy some premium services with a bit more price but you will get a lot of choices to get your work done. 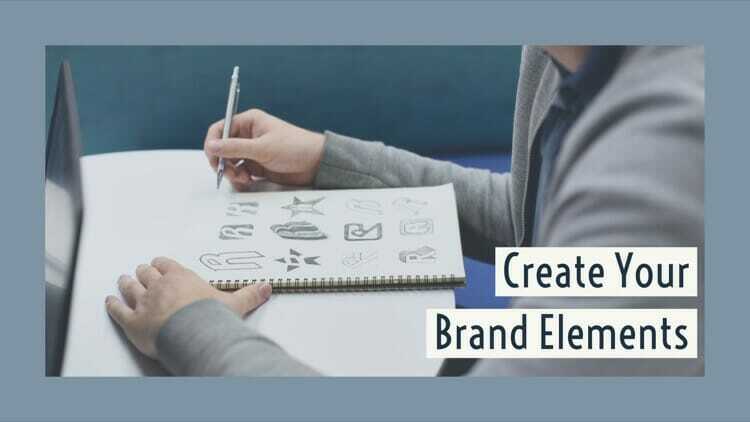 You can look for the services like logo design, social media profile covers, site icon design which should give you a nice start for creating a brand. There are some other options but they are costlier than above options. I usually recommend revisiting the branding strategy once you start earning some money and at that time you can look for expensive options. Social Media is one of the best ways to get a new audience for your blog. So you need to make sure you create a profile on each social media platform. I would suggest to go ahead and create the profile even if you are not planning to actively engage on that platform. Its always best to check social media profile availability while buying the domain name, and create just after that. I have had instances when I missed a network and later on when I tried someone else has created a profile with that name. So block all the social media identities as soon as you can. 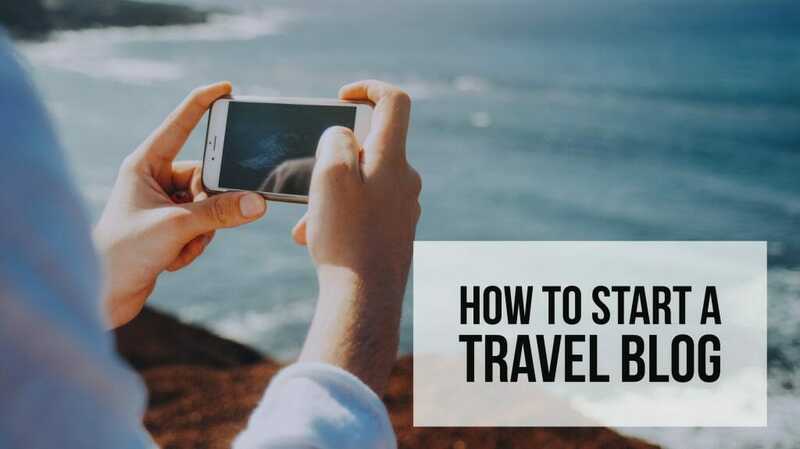 Considering that images play a big part in travel blogs, you must include Pinterest and Instagram also in your social media strategy. Overall, we can say that forming a travel blog from the scratch can be done with ease. WordPress can help you cater your travel blogging needs and beautiful themes play a vital role in deciding the well-being of your travel blog. So go ahead and start a travel blog to showcase your wanderlust stores to the world with much ease through the WordPress. Share your gaudy adventures with the people, tell them to experience the bliss of nature at least once in their lifetime. 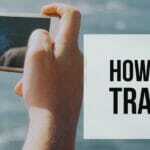 Hi Sanjeev, you really wrote an in depth, valuable guide for starting successful travel blog. And your guidance can be applied to other niches as well. Social networks are extremely important important in this niche. I agree that Instagram and Pinterest are important as images based networks since this is the fastest way to trigger emotions, but also other networks are great channel for sharing useful information and answering potential questions. I agree that the guidance can be applied to other niches as well. Social Networks should be chosen based on the blog topics. Pinterest and Instagram do very well with travel blogs but people should definitely explore other networks and check which is working fine for them.